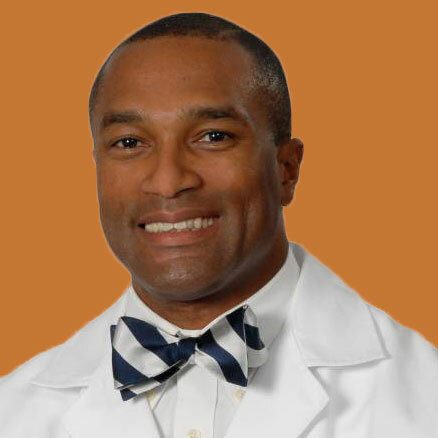 Dr. Brian Pettiford is a cardiothoracic surgeon at Ochsner Cancer Institute and is also the author or co-author of 40 journal articles and book chapters. Dr. Brian Pettiford is a cardiothoracic surgeon at Ochsner Cancer Institute in New Orleans, where he specializes in minimally invasive management of lung cancer and malignant pleural mesothelioma. Prior to joining Ochsner in 2014, Pettiford served as a clinical assistant professor of surgery at the acclaimed University of Pittsburgh Medical Center, where he attended medical school and continued his general surgery and cardiothoracic surgery training. In addition to treating pleural mesothelioma and lung cancer, Pettiford has extensive experience in the treatment of esophageal cancer and benign esophageal conditions such as achalasia of the esophagus and gastroesophageal reflux. Pettiford is certified by the American Board of Thoracic Surgery and a fellow of the American College of Surgeons and the Society of Surgical Oncology. He has authored or co-authored 40 journal articles and book chapters. After spending much of his career in the Northeast, Pettiford now serves the Gulf South region, which is an area with high incidence rates of mesothelioma because of its large and longstanding shipping industry blue-collar workforce. Pettiford has experience working with military service members and veterans. He was commissioned in the United States Navy Reserve Medical Corps before receiving an honorable discharge in 2006 as lieutenant commander. As a contributing writer for The Mesothelioma Center, Pettiford’s interests include doctor-patient relationships, the process of patient selection for surgeries and emerging treatments for pleural mesothelioma.